He was a rainstorm I was a drizzle, he was a dark man I was an angel, he loved black coffee and I loved green tea. It was raining, raining was when levi was most upset, gosh why couldn&apos;t you just get him out of your head! You realised you&apos;ve liked him for some time but, why can&apos;t he just stop making your heart beat like crazy, and your head spin, and stop making your cheeks heat like its hotter than the sun. You were about to leave work, but a hand spun you around,"(y/n), drive me home. My car broke down yesterday and it&apos;s still being repaired." He said casually, his face still with his usual emotionless face. You face dusted with pink with the sudden physical contact, you nodded your head quickly and got out your keys. You both walked in the drizzling rain, the two of you hastily jogged to your car in need of warmth and shelter. 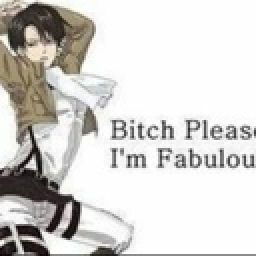 Slamming the door shut you looked over at levi who currently had a pissed off face for getting himself," filthy." He snarled, his nose scrunching in disgust, yeah... That. You started the car, but... The engine roared but then it stopped, your eyes widened and you looked around frantically,"what&apos;s wrong?" 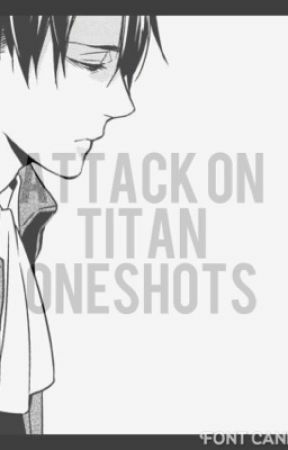 Levi inquired coldly, you snapped your head back at him then slumped deeper in your seat,"it won&apos;t start." You breathed out, hiding your face in your hands in embarrassment. He rolled his eyes and clicked his slender fingers against his phone buttons,"hello, we have a car broken down, come fix it at once, no real damage." He sighed and placed his phone in his pockets,"their not open cause of the storm, I&apos;m sure there&apos;s no taxis out cause of the storm too." He said annoyed, you sighed and looked down at your lap, your eyes slowly trailing back to the man that sat comfortably in his seat. Oh crap, your here... Alone, with him... In a car... Until this storm ends, please... Never let this end.. The tension in the air was thick, the only thing that could be heard was the buzzing sound of rain dropping on the floors of the streets, the car illuminated by the yellow street lights. You sighed trying to break the tension, levi just sat there staring out the window, you sighed once again but this time more forcefully trying to catch his attention. "Shut up brat." He snarled while still looking out the window, you let out a soft &apos;sorry&apos; and looked down to your lap twiddling your thumbs. "Levi..." You called out, he swung his head side ways to look at you, his snake eyes made you shiver, trying to come up with something quick you blurted out the only thing that came to mind. "Do you have a girlfriend!?" You semi shouted, he seemed taken aback, you felt like slapping yourself for being so stupid, how could you ask something so personal, oh jeez I hope he doesn&apos;t get suspicious about my petty crush. You were on the brink of tears,"why do you wanna know?" He replied as harsh as ever, ouch, that hurt. But he does have a reason, even I would ask if someone asked me a question like that. "J-just... Trying to start a conversation." You muttered slowly averting your eyes awkwardly. He sighed irritated  and ran his hands through his slick black locks, and looked at you once more your (e/s) (e/c) staring at him curiously. He flung his head back in the seat resting it, with closer eyes he answered,"no... Do you have a boyfriend? " he breathed, opening his eyes to peer back at you. Startled by his question you blushed and shook your head no vigorously. He smirked,"good." Your eyes widened and what he had said,"w-wah?!" You said but was cut off quickly by his lips smashing into yours. You immediately melted into the kiss and wrapped your arms around his neck while his hands fastened at your waist. He let go of the kiss and spoke,"you." He said and kissed you again every word he said in between kisses every kiss would be more passionate then the last,"have." Kiss,"no." Kiss,"idea." Kiss. "how long." Kiss, "I&apos;ve wanted to.." Kiss. "Do this." He breathed. You stared back at him fuzzily, both of you puffed out from the heated make out session, he was now on top of you his arms caging you. "I love you." He said smiling down, you looked up at him and smiled warmly, cupping his face,"I love you too." You said while pecking his lips.